RSi’s proven technology solutions help you rule by managing, analyzing and activating your most valuable data, from supply chain to shelf. 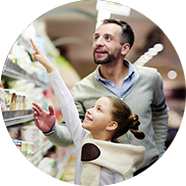 Our IRIS platform is the world’s #1 on-shelf availability solution, trusted by leading CPG manufacturers and retailers to maximize sales and ensure shopper satisfaction. You can rely on RSi’s unparalleled industry knowledge, best-in-class technology and deep data management expertise to grow, profit and rule. 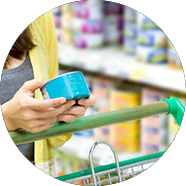 Every day we provide CPG manufacturers and retailers the real-time intelligence they need to flawlessly execute their promotions, pricing and supply chain, in over 50,000 stores worldwide. 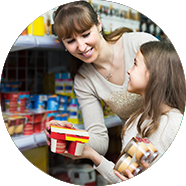 Our industry-leading products and solutions enable the world’s top CPG companies to dramatically improve retail execution, increase sales, and strengthen profitability. In today’s historically challenging retail environment, RSi’s trusted, proven solutions give retailers a competitive edge that helps them to grow and win. Embracing the Retail Omnichannel Challenge…and Winning!